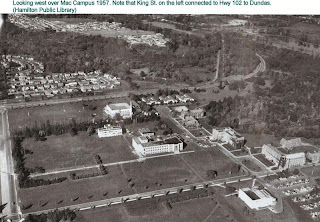 "Do not forget that from the beginning I have been under indebtedness to you for constant support and inspiration in connection with the bringing of McMaster to Hamilton, and the making possible of its beautiful surroundings and setting." Hopefully the 30m buffer is only the start of a restoration of the natural lands lost to parking in Lot M. As demographic shifts move people to alternatives to single-occupancy vehicle commuting, we must keep the potential of a renewed commitment to the environment in sight as we move forward. If there are any updates on the restoration work, I would appreciate any information you could provide.